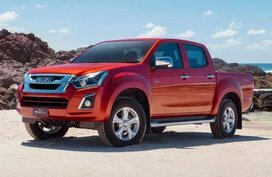 In order to help Filipino car buyers keep up with latest Isuzu D-Max price in the Philippines, Philkotse.com provides regularly updated Isuzu D-Max price list as follows. Please note that these are prices listed in some showrooms and should serve as reference only. For more accurate pricing information, please refer to the Isuzu D-Max for sale section. 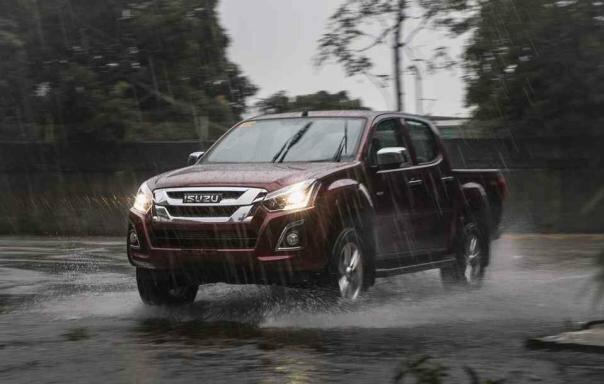 The Isuzu D-Max is the Japanese brand's tough workhorse which is designed to tackle any roads. 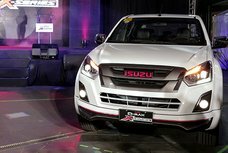 Falling heir to the reliability of the Isuzu Fuego and its brilliant predecessors, the new D-Max is coddled with more modern features to fit the lifestyle of any Pinoy. The D-Max, with an ample rear bed size at 1,485 mm x 1,530 mm x 465 mm (L x W x H), is well capable of hauling a multitude of heavy and large items. Besides, it also comes with a raft of optional accessories such as camper shells, bed covers, and more. Keeping you comfort and entertained on the inside are soft leather seats for 5 passengers, a 7-inch LCD multimedia head unit supporting DVD/WMA/MP3, Bluetooth/iPod connectivity and an automatic climate control system to boot. Like the MU-X, new on the Isuzu D-Max 2019 is the Euro 4-compliant Blue Power turbocharged engine. With regards to price however, the Isuzu D-Max price tells a different story. Let’s find out. Is the new Isuzu D-Max a step up from the last one? 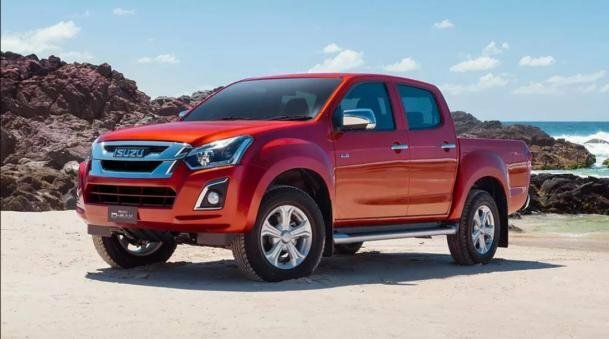 With the addition of new power plant, while the pricing for Isuzu MU-X 2019 with Blue Power engine was stiffer in 2018, that of the D-Max, interestingly, remained unchanged. At the same time, the rest of the lineup saw an even increase of P50,000 in price. The Blue Power Technology engine, which is said to "provide maximum engine output, cleaner emissions, superb fuel economy and engine durability," is now sitting under the D-Max hood, the 3.0 LS X-Series’ hood to be exact. With the new “heart”, the workhorse now gives more horses and more grunts, at 175hp and 380 Nm, respectively. 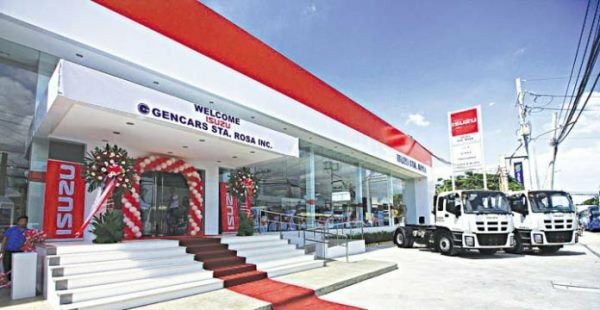 Many of you could have thought that you had to be pay more for a powerful pickup, but for some reason, Isuzu Philippines Corporation (IPC) got us open-mouthed. 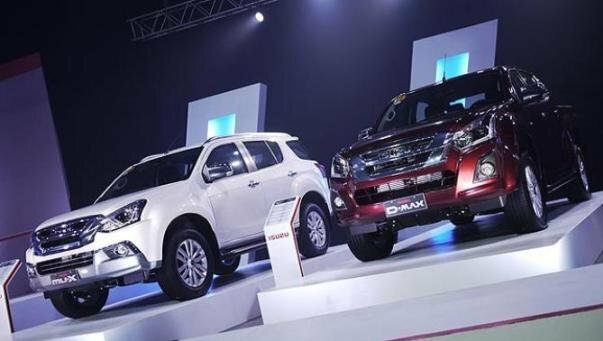 At launch, the Isuzu D-max Blue Power MT variant was priced at ₱1,370,000. For 2019, its price stands still. Similarly, the AT trim keeps the same tag of ₱1,440,000. Paradoxically, the pricing for non-equipped Blue Power D-Max models soared for 2019. As mentioned above, you have to pay for another P50,000 to take any of them home. 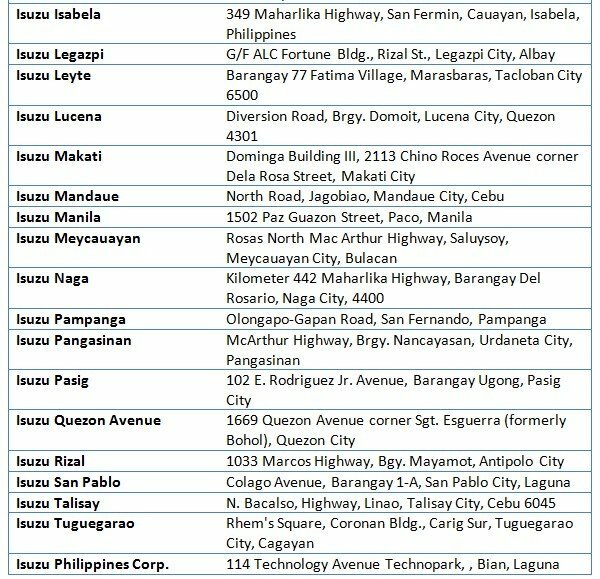 Isuzu PH is expanding to better serve you with a dense network of 37 dealerships across the Philippines. 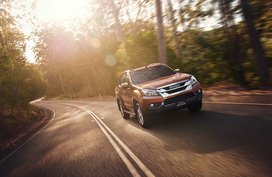 Search for the nearest dealer to you and drive home your very own Isuzu vehicle. 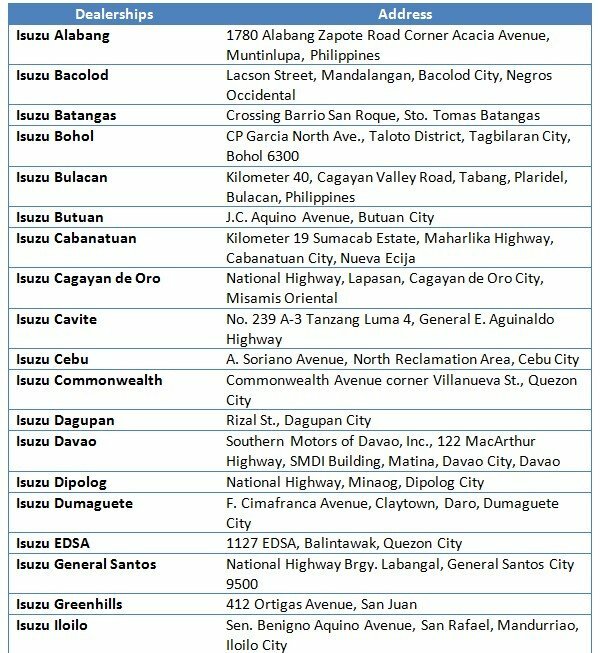 Below is the list of Isuzu dealerships in the Philippines accompanied with address details. 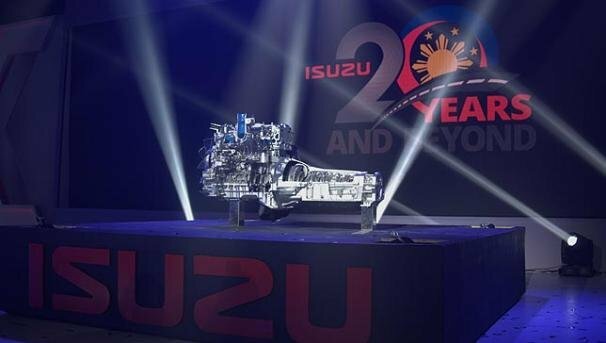 After more than 100 years since its establishment, Isuzu has now been known as one of the leading automakers worldwide when it comes to manufacturing qualified commercial vehicles. Back in 1916, Isuzu was originally started as a shipbuilding company called the Tokyo Ishikawajima Shipbuilding and Engineering Co. Ltd. Later on, it began to enter the automotive industry, which was marked by the partnership with the Tokyo Gas and Electric Industrial Co. In 1918, it set up cooperation with Wolseley Motors Ltd. so as to manufacture and sell its first vehicle which was dubbed as Wolseley in East Asian market. 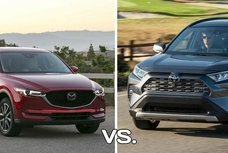 To obtain what it has today, the Japanese carmaker has been through decades of ups and downs and merger events such as a merger with General Motors and DAT Automotive Manufacturing Inc. in the 1970s and 1930s, respectively. 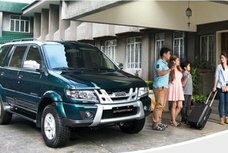 Isuzu established its official distributor of industrial and commercial vehicles in the Philippines in the 1950s. However, not until August 1995 was it renamed as Isuzu Philippines Corporation (IPC). 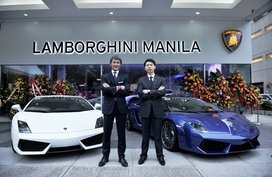 The IPC carved up the local auto market with the support of a 4-way merger with Mitsubishi Corporation, the Ayala Corporation and the Rizal Commercial Banking Corporation. Today, IPC is still one of the most favorite brands of Filipino car enthusiasts with flagship models such as the D-Max, MU-X, and Crosswind. 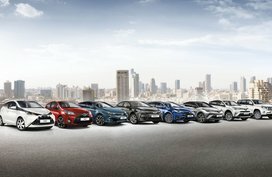 Worth of note, these vehicles are all powered by a highly innovative direct injection diesel engine technology which has been researched and developed by Isuzu itself.